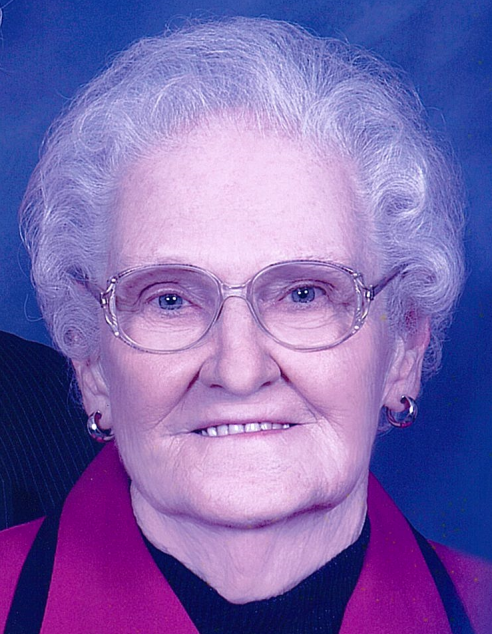 Olive Marie Brown, 92, of Corydon, died Sunday, April 7, 2019, at BeeHive Homes in Georgetown, Indiana. She was born September 27, 1926, in Crawford County, Indiana, to the late Nova A. and Sylvia Miller Byrd. She was retired from the U.S. Census Bureau, and was a member of Old Capitol United Methodist Church in Corydon and the Order of Eastern Star Old Capitol Chapter #467. She was preceded in death by her parents; her husband of 65 years, Basil F. “Brownie” Brown; her daughter, Barbara Hallmark; her brothers, Elmo, Eldon, Loren and Owen Byrd; and her sister, Mary Gayle Hoffman. Survivors include her sons, Anthony Brown (Mavis) of English, Indiana and Carey Brown (Susie) of New Albany, Indiana; her sister, Linda Davis of New Albany; her grandchildren, Melanie Brown-Partin (Pete), Kristopher Brown (Amy), Ryan Brown (Jenny) and Tyler Brown; and her great grandchildren, Ariana and Megan, Nicholas and Alexandria, and Cosette, Waylon and Gwyneth. Funeral services will be at 11:00 a.m. Saturday, April 13, 2019, at Beanblossom-Cesar Funeral Home in Corydon. Rev. Andy Hansen will officiate. Burial will be in El Bethel Cemetery near Milltown, Indiana. Visitation will be from 3:00 – 8:00 p.m. Friday and after 9:00 a.m. Saturday at the funeral home. The family requests that expressions of sympathy be made to Old Capitol United Methodist Church. Pallbearers will be Kristopher Brown, Ryan Brown, Tyler Brown, Mark Hoffman, Gary Byrd, Roger Byrd and Alvin Balmer.